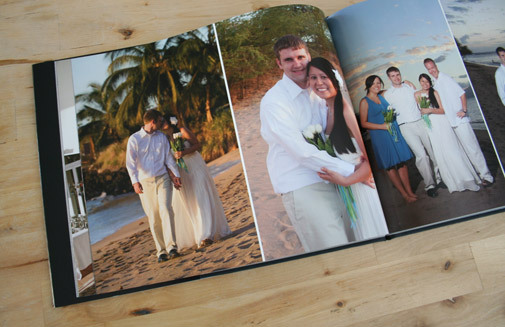 Crossing off another item on my 26 before 26 list, #26: Create wedding books for my parents and in-laws. 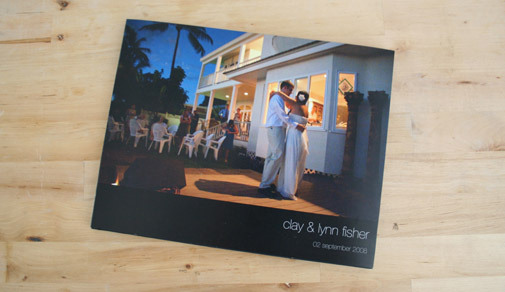 For two years, I’ve been meaning to make a wedding scrapbook of some sort for my parents and Clay’s parents. Scrapbooks can sometimes look cheesy or too craftsy, so I decided to use Apple’s iPhoto printing services. It’s quick, easy, and looks great. I’ll be sending these out this weekend and I hope they like them! This entry was posted in 26 before 26, family, my life, photography, weddings and tagged photo books. Bookmark the permalink.